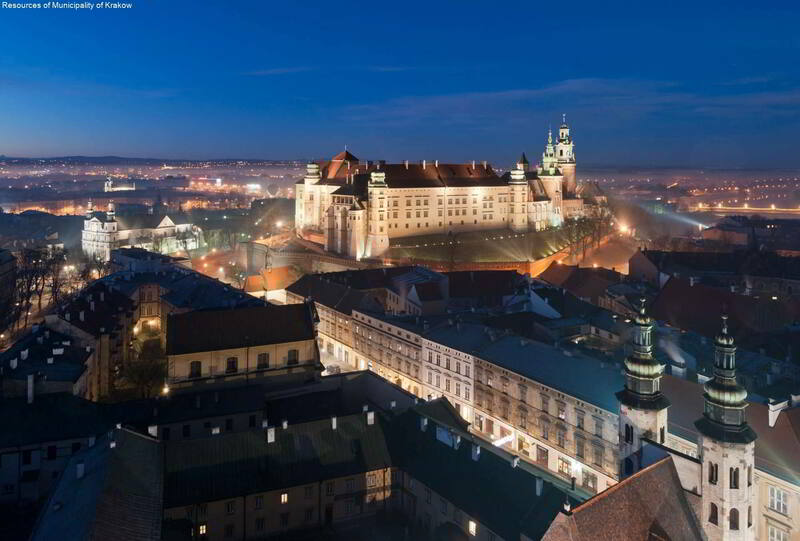 Kraków, often called Krak’s Castle, is one of the largest and oldest cities in Poland, the historical capital of Poland, nowadays - capital of the Lesser Poland. 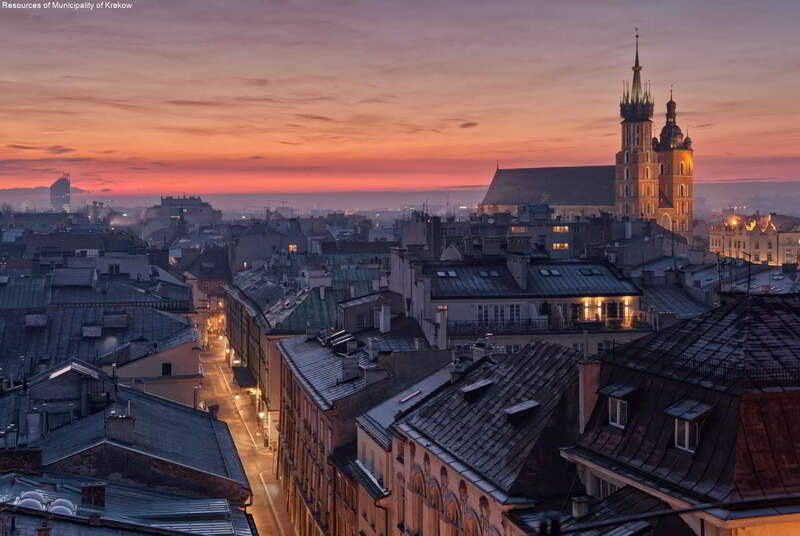 The unique atmosphere of Kraków attracts not only artists but also many tourists. You can feel that especially on the cosmopolitan Main Market Square. 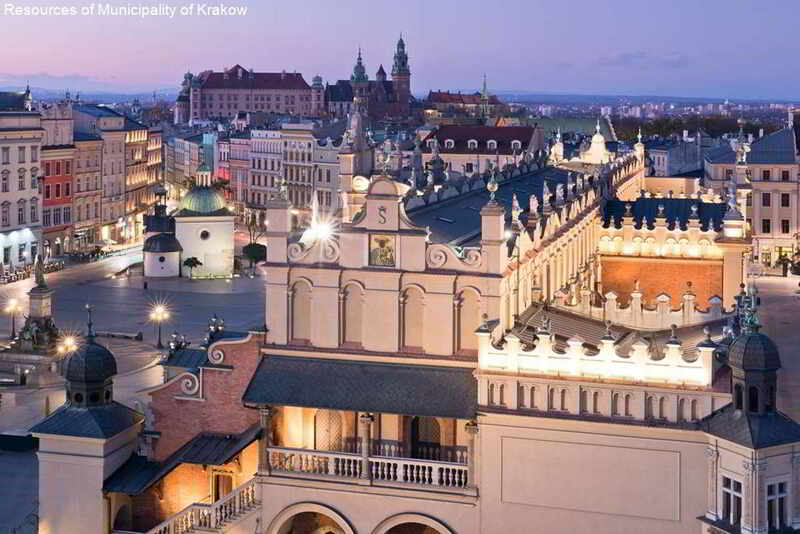 In Kraków history and centuries-old past penetrates to the depths almost everywhere. 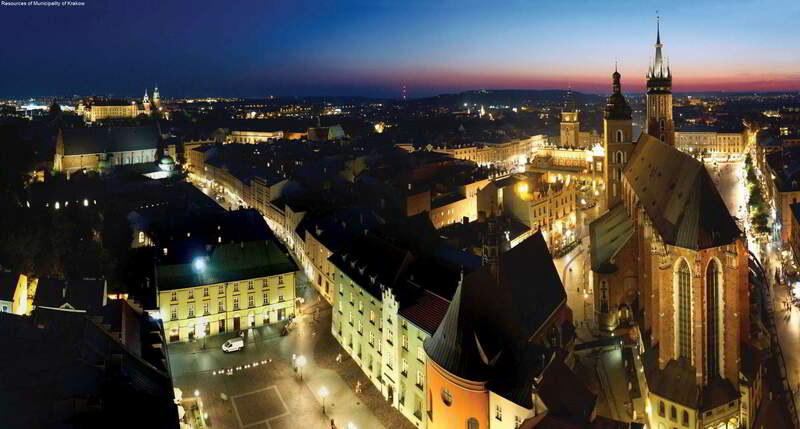 It was here where for many centuries Polish kings used to live, the culture flourished and the artists grew. 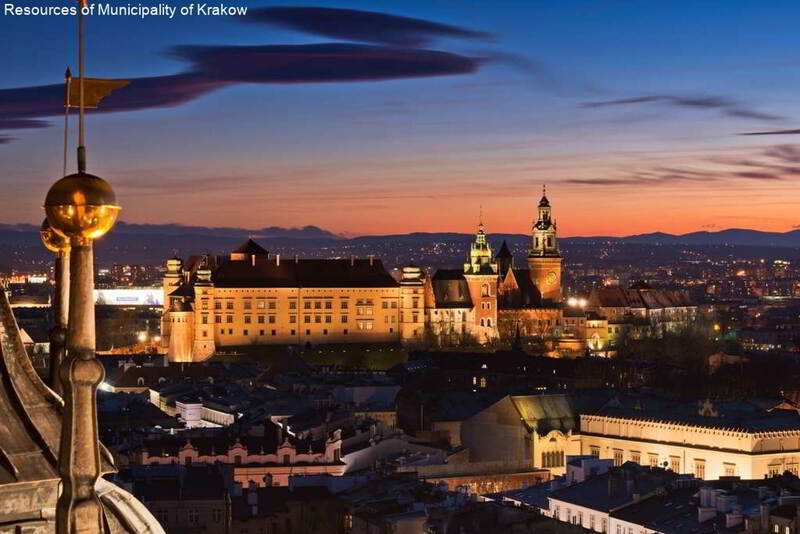 To learn about the city it is enough to take the most famous and beautiful route in Kraków - the “Royal Route”, running from the Barbican via Floriańska street, the Main Market Square, to the Wawel Hill. 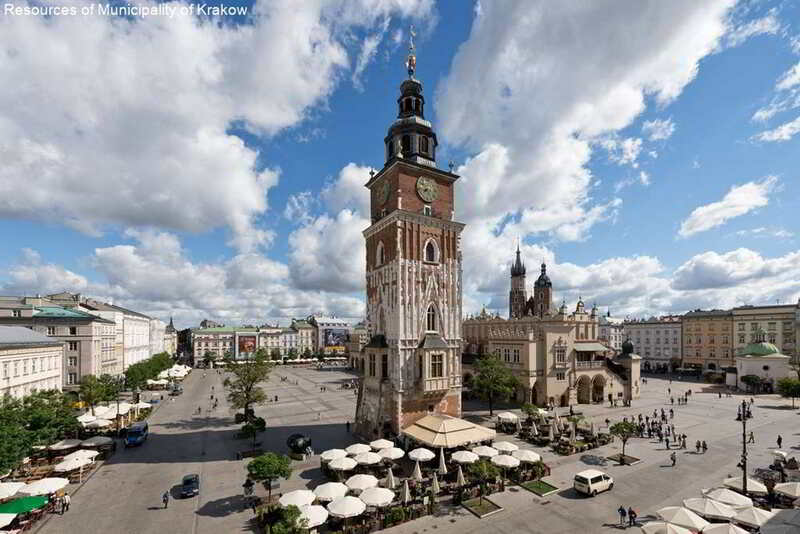 Along the Royal Route there are the most important monuments of old Kraków: the characteristic St. Mary’s Basilica with two tall, yet uneven towers which should not be missed. 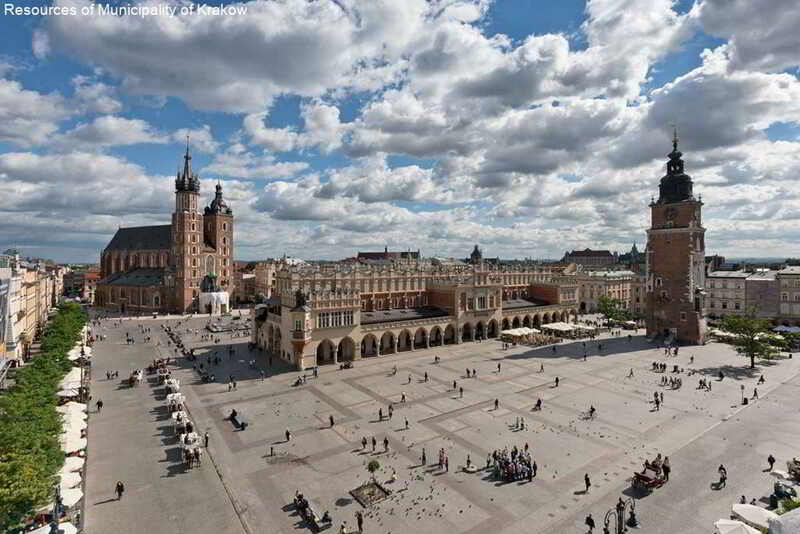 Cloth Hall - the medieval market place, nowadays trading centre for souvenirs and Gallery of 19th-Century Polish Painting, churches of St. Francis, St. Peter and St. Paul's, the Dominican monastery with the Church of the Holy Trinity. 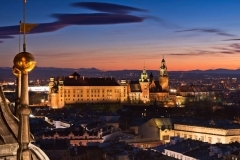 Up on Wawel Hill, raised above the city, there is the majestic Wawel Castle. The Hill features many historically significant buildings dating back to different eras. 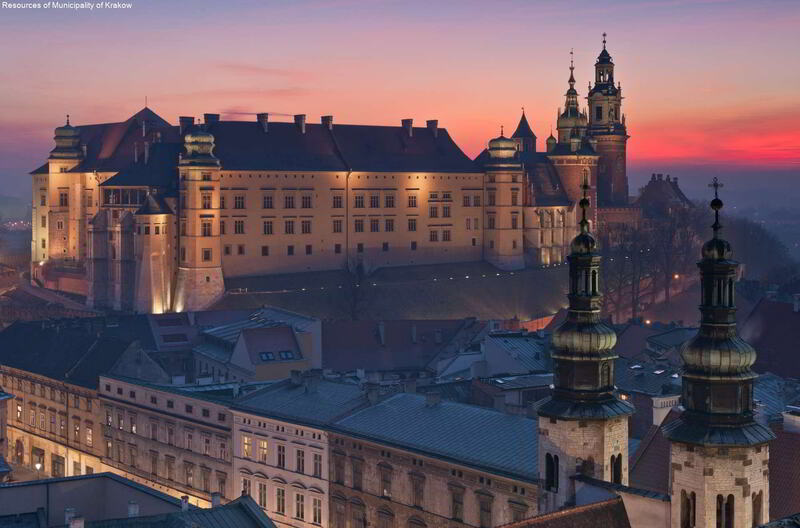 Wawel played a significant role in the political and religious history of the country and the city itself. At the "Royal Route" you can see not only the landmarks decsribed in the guidebooks, but also many unforgettable picturesque places and interesting architectural details. 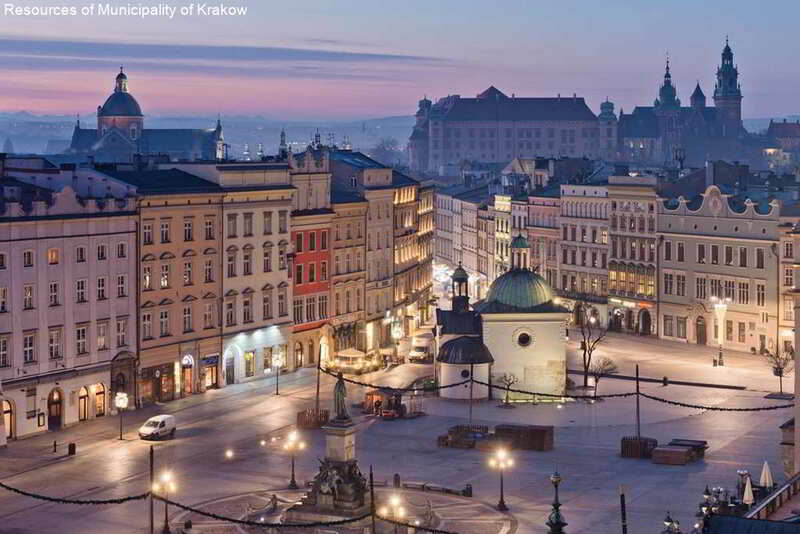 It is worth taking a walk on the Kanonicza Street - a wonderful, charming hideaway of Kraków. 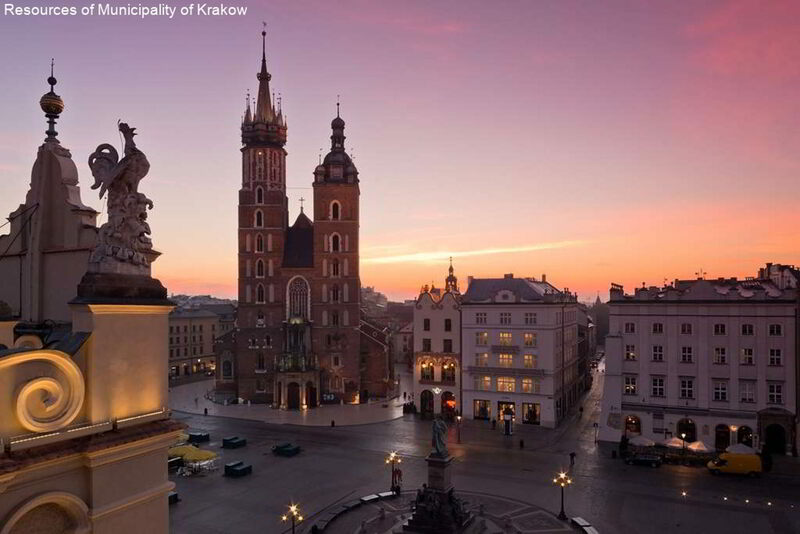 Staying in Kraków you cannot miss the town of Kazimierz - the historic Jewish quarter with well-preserved synagogues such as the Old Synagogue and the Tempel Synagogue. In 1978 the places such as: the Old Town of Kraków, together with Wawel, Kazimierz and Stradom, were included in the Unesco World Heritage List. 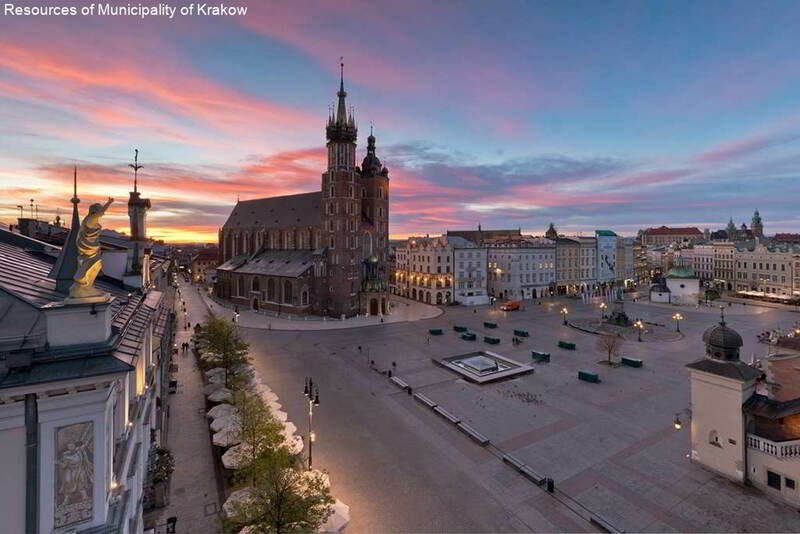 For centuries Kraków as the capital city of Poland, the seat of kings, was attracting great scholars and artists from all over the world. It is their talent and imagination that we owe to the rich heritage of unique historical monuments that reflect the most important directions in European culture. National Museum - three permanent exhibitions – the Gallery of 20th-Century Polish Painting, the Gallery of Decorative Art, and Polish Arms and National Colours – are housed in this main branch of the National Museum in Kraków. 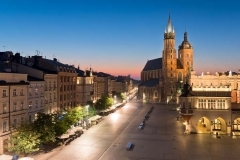 The most notable collection is the painting gallery, which houses an extensive collection of Polish painting (and some sculpture) covering the period from 1890 until the present day. Schindler’s Factory - this impressive interactive museum covers the German occupation of Kraków in WWII. It is housed in the former enamel factory of Oskar Schindler. Old Synagogue - this museum is housed in the Old Synagogue, which dates to the 15th century. The prayer hall, complete with a reconstructed bimah (raised platform at the centre where the Torah is read) and the original aron kodesh (the niche in the eastern wall where Torah scrolls are kept), houses an exhibition of liturgical objects. Manggha Centre of Japanese Art & Technology - this museum is the brainchild of Polish film director Andrzej Wajda, who donated the Kyoto Prize money he received in 1987 to fund a permanent home for the National Museum's extensive collection of Japanese art, ceramics and scrolls. 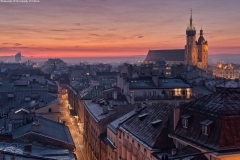 The Collegium Maius - built as part of the Kraków Academy (now the Jagiellonian University), is the oldest surviving university building in Poland, and one of the best examples of 15th-century Gothic architecture in the city. It has a magnificent arcaded courtyard and a fascinating university collection. Main Square Underground - fascinating attraction beneath the market square, consists of an underground route through medieval market stalls and other long-forgotten chambers. The ‘Middle Ages meets 21st century’ experience is enhanced by holograms and audio-visual wizardry. Almost all the biggest museums offer audioguides. There are also twelve 3D models of the most popular historical buildings situated along the Royal Route (incl. the Barbican, St. Mary’s Basilica or Cloth Hall ‘Sukiennice’). Each model has English and Polish braille descriptions. Tourist maps for visually impaired guests can be collected from Tourist Information offices. 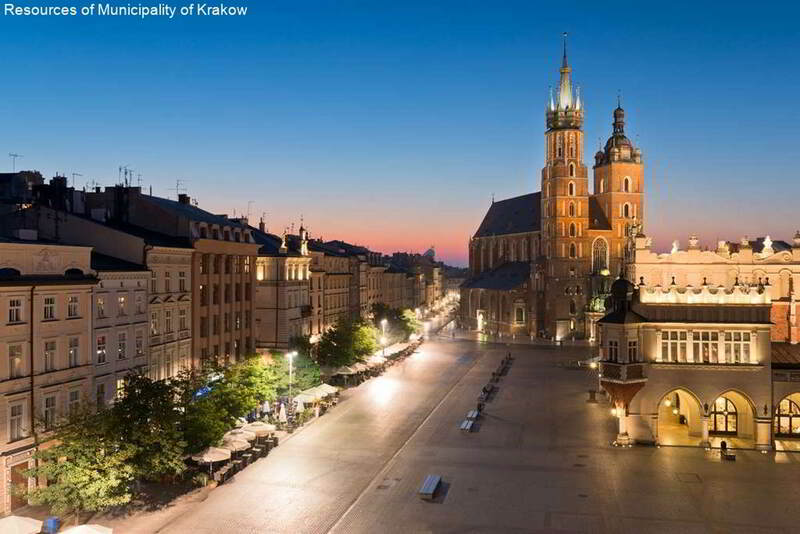 Kraków is considered to be the cultural capital of Poland. 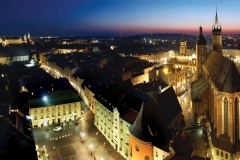 In 2000 the city was awarded the title of European Capital of Culture. 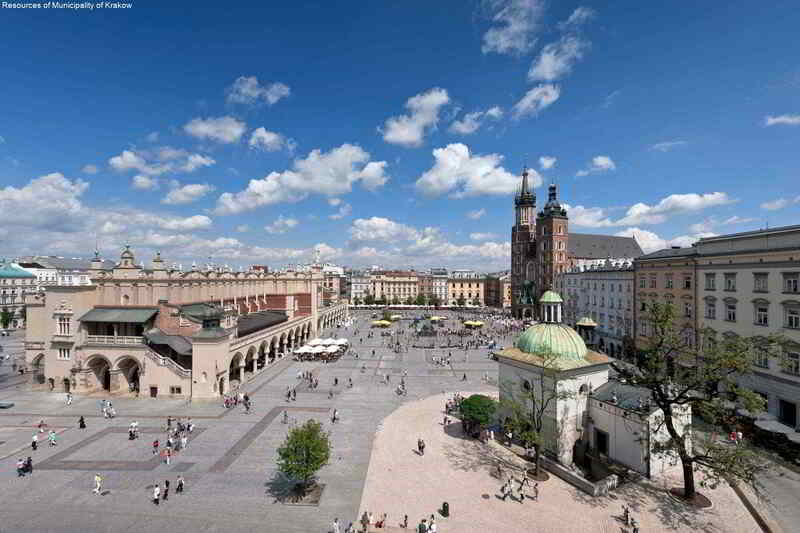 A review of current cultural events in Kraków can be found here.